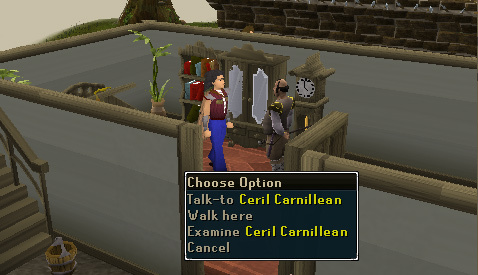 Ceril Carnillean of Ardougne has high aspirations for his son, Philipe, to be trained into becoming an adventurer. This quest involves creating a generic quest for Philipe and encouraging him to explore the world. Speak to Xenia located outside the Carnillean Mansion in the southwest of East Ardougne. Head down to the Carnillean Mansion, located south west of the castle in East Ardougne, on the west side of the river. Talk to Xenia outside of the gates and she will tell you that Sir Ceril wants his son to become an adventurer, and needs someone to mentor him. Go into the mansion and talk to Sir Ceril. He will give you the details on what he wants the quest to include, and will hand you Sir Ceril's List. His plan is to set this up in the sewer tunnels under the mansion. 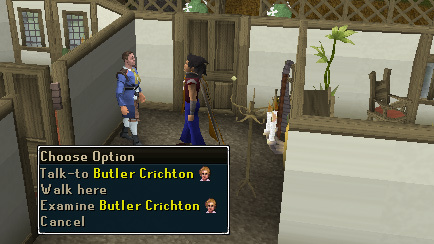 You'll be sent to speak with Butler Chrichton who will be your guide in setting up the quest grounds. Climb down the ladder near the stairs located in the south side of the room and speak with Butler Chrichton in the basement. Enter the tunnel to the east and Chrichton will give you the details. Go back into the cellar and grab the spider scattering around near the tunnel entrance. There is a barrel of junk near the entrance which will give you 30 rusty spikes. 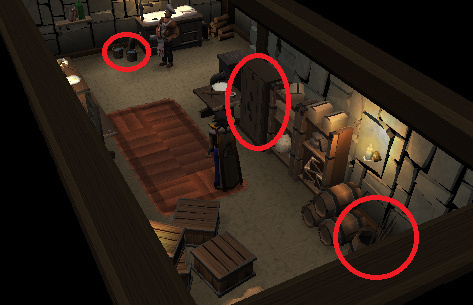 Search the cupboard for Sir Ceril's wine, 9 regular planks, twine, and a pair of secateurs. Finally, go by the sink and collect 7 buckets of water. Next you will need to use inhabitants of the mansion to play the roles of quest characters. 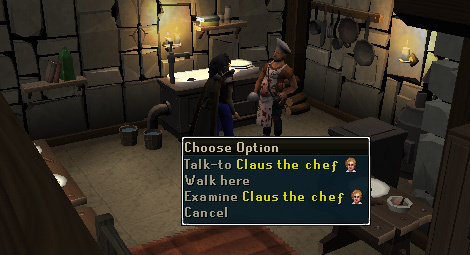 Speak with Claus the Chef in the cellar's kitchen and ask him to play the part of the drunken jail guard. He will accept after you promise to give him Ceril's Wine. Go up the ladder and then the stairs to the top floor of the mansion. Speak with Sarsaparilla in the room to the west. "I'm directing a drama, would you like a part?" Search the wardrobe across the hall to get a helmet and breastplate and Sir Ceril's sword. 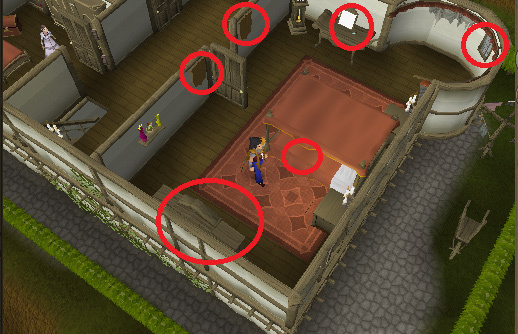 Remove the dragon heads from the mounts near the door and tear down the curtain in the northeast window of the bedroom. 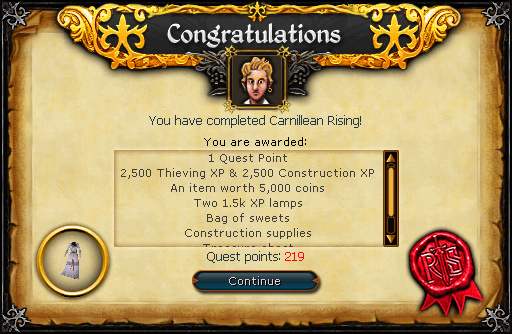 Finally, take Sir Ceril's money pouch from his bed OR Henryeta's necklace from the dresser. Either one you pick will be used as a reward. 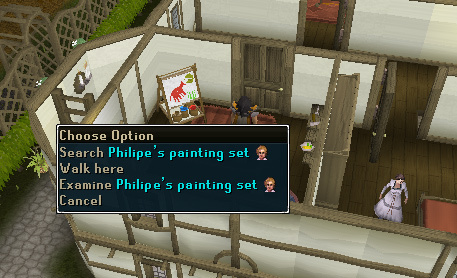 Go to the room on the other side of Sarsaparilla's and search Philipe's painting set to obtain red paint. Now it is time to start building the quest grounds. 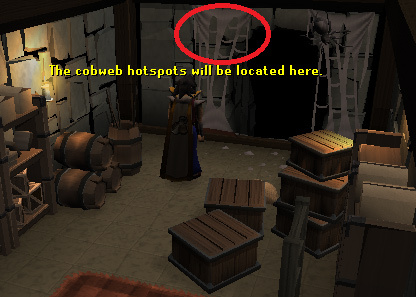 Go back down to the cellar and build the cobweb hotspot on the cave entrance. 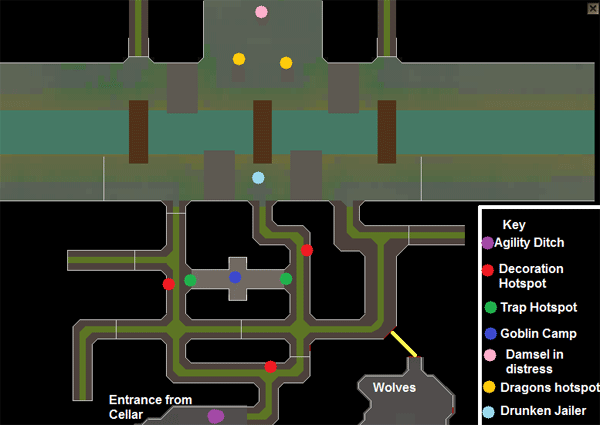 Travel through the tunnels to the goblin camp and speak with Slimepits and Nostrillia. Ask them to be the patrolling guards and they will ask you for Sir Ceril's armor in return. They will automatically go to their stations after a humorous argument. Go to the drunken jailer hotspot near the bridge and Claus will take his place. Use Ceril's money pouch on him if you took that instead of Henryeta's necklace. 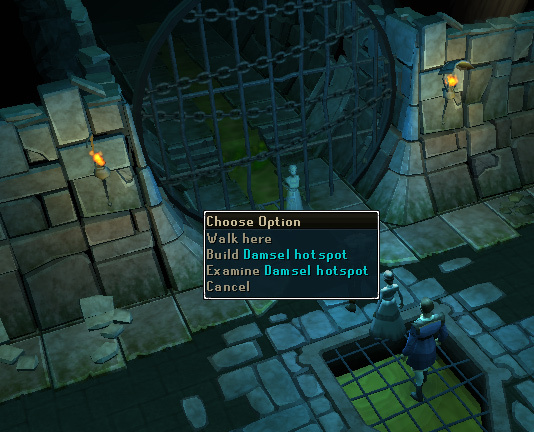 Take Sarsaparilla to the hotspot across the bridge near the cage and go through the dialogue until she gets into position. Tie her up with the twine. Give her Henryeta's necklace if you took that instead of Ceril's money pouch. Run across the bridges and head southeast until you see a passage (marked on the map as "wolves"). Inside you will find juvenile wolves chasing a mouse. 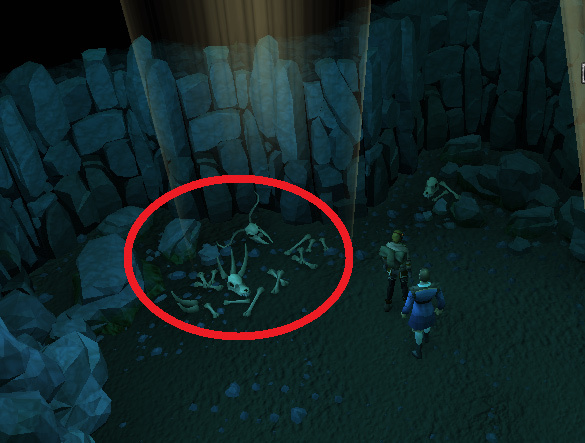 Pick up the cave mouse and take bone scraps and animal skulls from the spoil pile in the southwest of the room. The wolves will follow you when you have the cave mouse in your inventory. Lead them back to where Sarsaparilla is, and they will take their place in the dragon hotspots. Do not release the cave mouse, you will get a message saying that the wolves will stay in place. Once the wolves are where they need to be, use the dragon heads on them and they will turn into "Dragons". Now for the decorations, only one decoration is required. 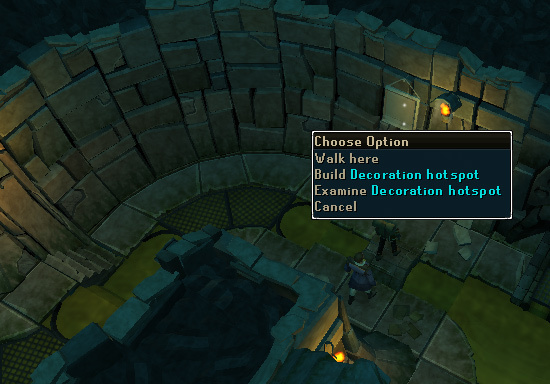 It is up to you whether or not you want to build all three decoration hotspots. 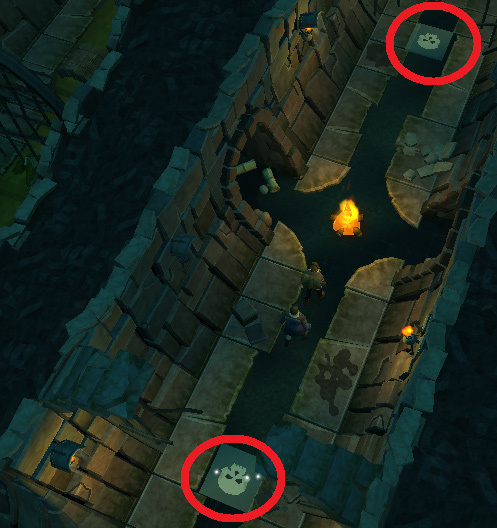 Go to the goblin camp and build a tripwire trap on both sides of the room in the archways. 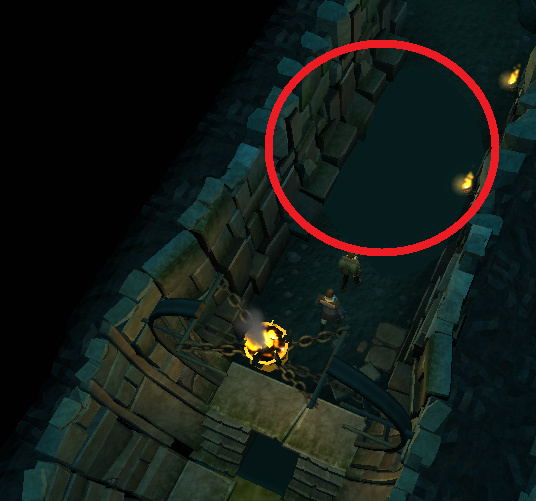 Finally, go back near the entrance and build either a spike pit or a pool of water as the agility obstacle. Now you're ready to take Philipe on the adventure! Go to the tunnel entrance (or right click on Butler Crichton to exit quickly) and return to the ground floor of the mansion. Note: Now may be a good time to get some food if you are a lower level or are unsure about the quest's final battle. Remember that you will not need to fight the Cave Wolf Matriarch, you will just need to distract her while Philipe attacks. 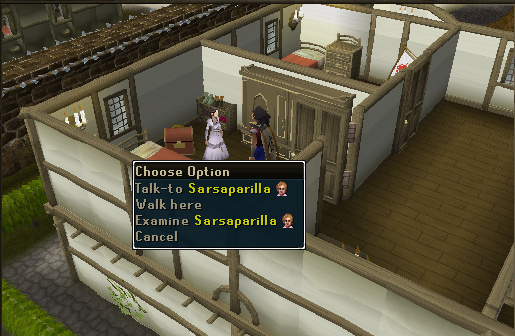 Go upstairs to Sarsaparilla's room to get one of her spare dresses from the wardrobe. Go downstairs and talk to Philipe. He will reject the quest. Right click on him and select "pickpocket" to steal his bag of sweets. Speak with Philipe again and offer him a bag of sweets as a reward for the quest. 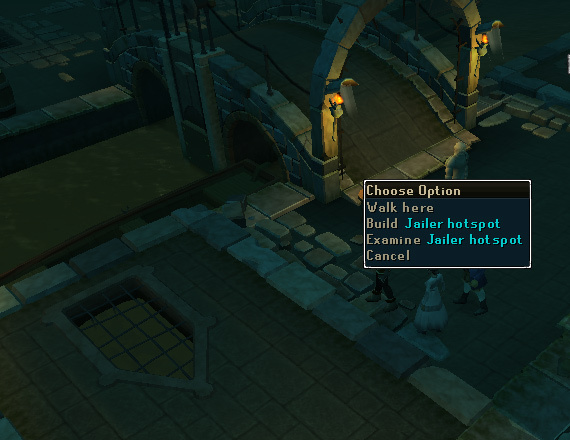 Tell him to follow you and go down into the quest area. 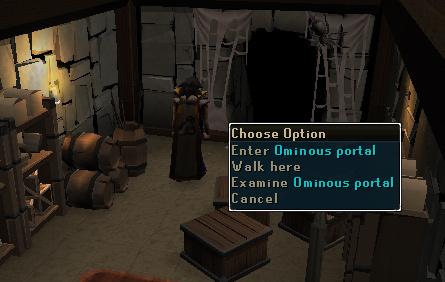 You may have to click to speak with him after each obstacle if he stops following you. He will hesitate when you try leading him across the agility ditch, so tell him to "Do it for the sweets". When Philipe passes a decoration that you've built, he will be amazed. The next step is getting past the guards. Philipe wants to attack them, so tell him that they would have time to yell. He will fail to make it past the guards, so talk to Slimepits and Nostrillia to distract them. Philipe will run past them. Philipe will ask you about the tripwire, tell him that it is a fiendish trap. He will start another dialogue with you while approaching the drunken jailer. Either option you choose will work. He will unwillingly take the wine and dress and disguise himself as a woman, giving Claus the wine. Continue to the wolves, and when Philipe starts to fight them, the Cave Wolf Matriarch will appear. Talk to him and offer to help. You will distract her while Philipe does the damage. The best way to avoid taking damage is to run around in circles far enough away from her to avoid her magic attack and falling stalagmite attack. Just keep this up until the wolf mother has been killed by Philipe. Talk to Philipe after he rescues Sarsaparilla and you will arrive upstairs. Talk to Philipe and then Sir Ceril about the encounter in the caves. There will be a cutscene between them. Speak with Xenia and then finish off by speaking with Sir Ceril.